In 6 days, gain a thorough knowledge and understanding of the HSC Maths Ext 2 course topics with exposure to over 150 HSC exam-style questions. Learn the most effective and efficient problem solving techniques. Perfect your skills with hundreds of exam questions and become exam ready! Improve your exam skills by learning how to balance your speed and accuracy. 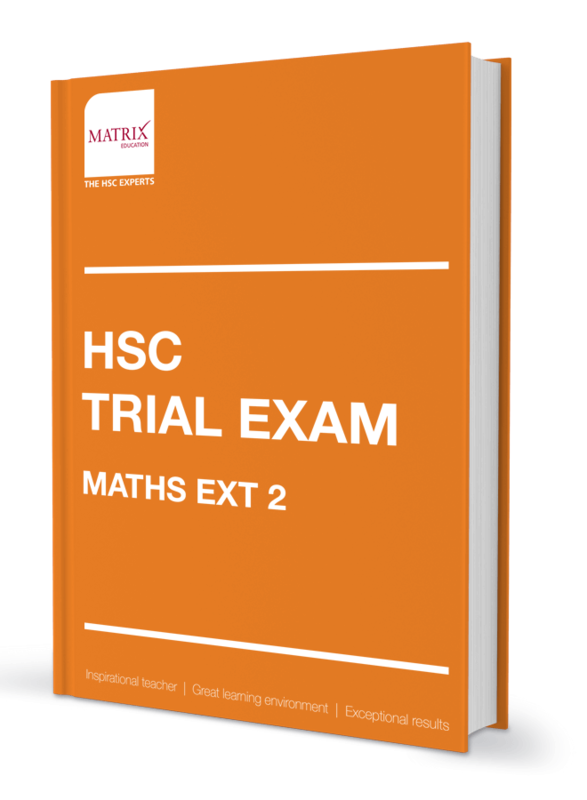 Sit the Matrix Mock HSC Trial exam under exam conditions to find knowledge gaps and receive feedback from our experienced HSC teachers. 3 hour mock HSC Maths Extension 2 exam under exam conditions. A 3 hour Mock Trial Exam that prepares you for your HSC Trial exam.